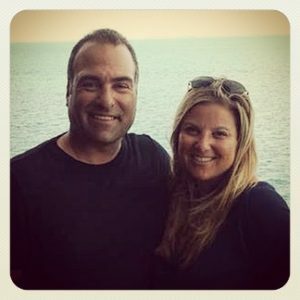 Kim graduated from The Ohio State University with a degree in communication where she met her husband Mike. After graduating she followed him out to the North Shore of Boston. She now lives in the beautiful seaside town of Marblehead MA with him and their three sons and two beach loving dogs. After her youngest son started Kindergarten she decided now was the time to work on a business idea she had long thought about.…and Dipt was born! Originally started in her kitchen which she quickly outgrew, she then designed an 800 sq foot kitchen and workspace of her dreams. 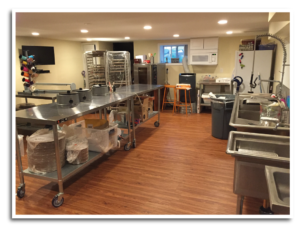 The Dipt kitchen is inspected and licensed with both the Town of Marblehead Board of health as well as the state of Massachusetts Department of Food Safety. We are fully insured and maintain a healthy and safe environment for producing and shipping all our chocolate creations. While we do not have a retail location, orders can be placed in our online shop at www.diptonline.com. At Dipt, everything we create is hand dipped and custom made per order as edible art….no two are alike! We pride ourselves in our creative packaging and unique gift options, fabulous corporate gifts, festive holiday treats, and impressive special event favors. Our gifts are carefully packed and shipped with hand written notes and big beautiful bows. We can customize with your company or event logo as well as theme or corporate colors. If you can imagine it, Dipt can bring your creation to life. So whether you're looking for a memorable dessert for your holiday table, a unique gift, memorable corporate gifts, or fabulous centerpieces and favors for your special event...Dipt will surely impress!